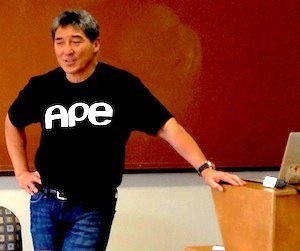 Last week during my Stanford workshop on self-publishing, guest speaker Guy Kawasaki was asked whether he had purchased any ads for his new book on self-publishing APE: Author, Publisher, Entrepreneur–How to Publish a Book. So how did he receive over 50 Amazon reviews in the first day of launch? “Simple. I involved my followers from the beginning. I asked their opinion on the outline. I asked their opinion on the manuscript. And I even asked for volunteers to help copyedit the book. Filed under: Guy Kawasaki - Self publishing workshop - Stanford University.